A video shared by student showed ABVP members brandishing sticks and using them on furniture, notice boards and other installations in the college. A group of election campaigners of ABVP on Monday vandalised on the premises of Delhi's Zakir Hussain College, wielding sticks and raising slogans, and breaking flower-pots and furniture, allegedly because they were denied entry by the college guard. Struck by unruliness of the Akhil Bharatiya Vidyarthi Parishad (ABVP) activists, students of the college picketed outside the college and demanded action against the hooliganism. "This all began when ABVP candidate Shakti Singh forcibly entered the college with 50-100 of his friends and started ransacking property. To protect ourselves we left the college and later picketed on road for hours demanding action," Anoop, a student of the college, told IANS. 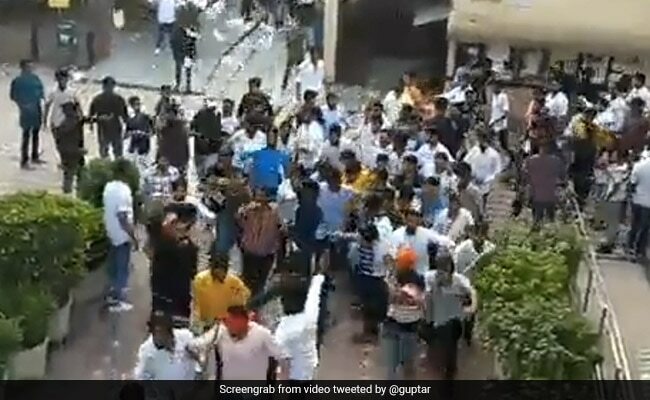 A video shared by some student activists showed hundreds of men running wild inside the college, with some of them brandishing sticks and using them on furniture, notice boards and other installations in the college. 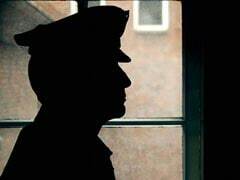 Deputy Commissioner of Police (Central Delhi) Manjeet Randhawa denied receiving any complaint from the college. "We haven't received any complaint from the college authorities but we have deployed force around the college to prevent breakout of violence," he said. Shakti Singh is Vice President candidate from the ABVP for the Delhi University Students Union polls.